In Last month I went to Dahanu to see my friend Avdhut and his wife. From last 2 months he was telling me to come and visit his place. thus finally i made a decision to go to his place to click some stunning photos of dahanu beach. Dahanu is not like Thane city which is very crowded and fast paced, it is very opposite to Metro Cities it is less crowded and calm. It is blessed with beautiful beaches and greenery. Dahanu has very nice and clean beaches, so me and Avdhut decided to visit beach at evening to click some snaps of sunset at dahanu beach. it was around 6:00 PM and setting sun just gave me new opportunity to click some beautiful shots of sunset at dahanu beach. 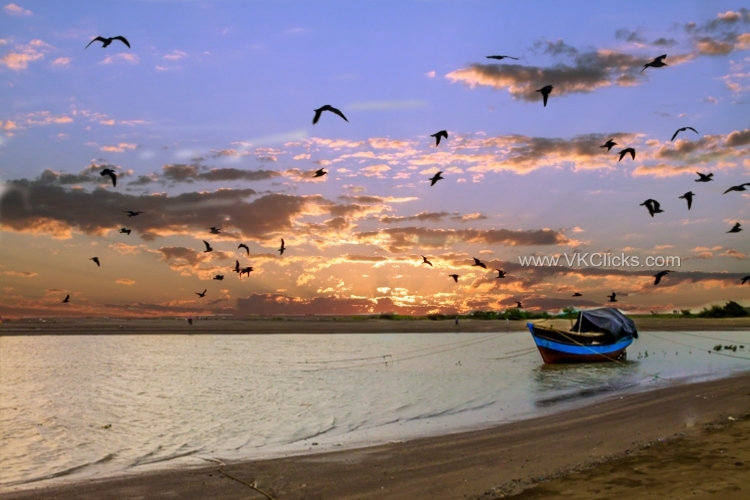 Below is the one of the beautiful sunset shot at dahanu beach. Extremely beautiful. Love the click. Check out my click in Gokarna on http://preserved4ever.blogspot.in/2015/05/Sunset-beach.html . Indeed a stunning sunset at a beautiful beach.